Welcome to our Venn Diagram Worksheets page. Here you will find our selection of free venn diagrams sheets to help you child to practice using simple venn diagrams in a range of contexts. There are a range of venn diagram word problems on this page from sorting animals, people, shapes and numbers using a range of criteria. A Venn diagram is a way of classifying groups of objects with the same properties. Typically, a venn diagram has two or three circles that intersect each other. There is also a space outside the circles where objects that do not fit any of the properties can go. The diagram below shows you how a venn diagram with two circles works. Need to practice using venn diagrams? 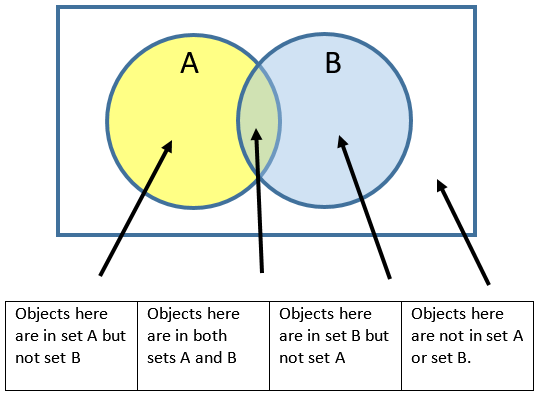 Looking for some worksheets to help you to classify a range of different objects using venn diagrams? Then this page should hopefully be what you are looking for! Each sheet contains one set of objects and two different venn diagrams to sort the objects with. There is a progression from easier to harder sheets within each section. practice classifying a range of objects using different properties. If you are in search of some 2nd grade bar graph worksheets, then check out our selection. We have a range of worksheets to help you to learn to read, interpret and draw a range of bar graphs and picture graphs.